The Sagehen Reserve Program Planning Advisory Group (SRPPAG) is a joint university/agency/community initiative that brings together individuals from three universities, six agencies (federal, state, and local), and several nonprofit organizations and community groups to help guide the station’s future. Contact the Sagehen Creek Field Station Manager for meeting schedule & more information about SRPPAG. Use this page to read working documents, grant applications and planning information. Comments and suggestions should be raised at future meetings &/or directed to the Station Manager. Additional Sagehen publications available here. This is a planning document that provides the general layout design for new facilities required to meet current station needs & to fulfill the Sagehen Vision, below. More information here. Video fly-throughs here. This vision for the Sagehen Creek Field Station is intended to guide discussions that will lead to a long-term management plan. It describes what the field station is like today and how we will create this management plan. It identifies five long-term goals and lists ideas about what facilities, staff and programs are needed to achieve them. To anticipate and plan for future use and visitor needs. National Research Council. 2014. Enhancing the Value and Sustainability of Field Stations and Marine Laboratories in the Twenty-First Century. National Academies Press. Billick, I., I. Babb, B. Kloeppel, J. C. Leong, J. Hodder, J. Sanders, and H. Swain. 2013. Field Stations and Marine Laboratories of the Future: A Strategic Vision. National Association of Marine Laboratories and Organization of Biological Field Stations. Available at http://www.obfs.org/fsml-future. National Research Council. 2001. Grand Challenges in Environmental Sciences. National Academies Press. Outdoor Meeting Area, Aug 2011. Master Plan, 1985. Martha Lee Berner UCB Masters thesis. Master Plan, 2008. Cathexis Architecture. See more Sagehen publications here. Needham , P. R. 1951. A Progress Report on the Sagehen Creek Experimental Wildlife and Fisheries Project, 1951. 4 photos 8 pp. 1952. A Second Progress Report on the Sagehen Creek Experimental Wildlife and Fisheries Project, 1952. 8 pp. Standard Agreement No. 1D-757 5 pp. Standard Agreement No. 1D-757 59 pp. Needham , P. R. 1955. A Third Progress Report on the Sagehen Creek Project. 7 photos 14 pp. 1958. A Report to the Trustees of the Max C. Fleischmann Foundation on the Sagehen Creek Project [fourth progress report]. Univ. Calif. , Zoology-Fisheries Section, Berkeley . 14 pp. 1963. A Fifth Progress Report on the Sagehen Creek Wildlife and Fisheries Project. Dept. of Zool., Univ. Calif. , Berkeley . 42 pp. Leopold, A. S. 1967. Annual Report, Sagehen Creek Field Station, 1966. Jan. 1, 1967. 1971. Sagehen Creek Field Station: The First Twenty Years – PDF | Text Univ. Calif. , Berkeley . May, 1971. Barrett, R. H. 1989. Annual Report, Sagehen Creek Field Station, 1988. 1990. Annual Report, Sagehen Creek Field Station, 1989. 1991. Annual Report, Sagehen Creek Field Station, 1990. 1992. Annual Report, Sagehen Creek Field Station, 1991 . Kirchner, J., J. Brown and F. Felix 2005. Annual Report, Sagehen Creek Field Station, 2003-04. 34 pp. 2005. Annual Report, Sagehen Creek Field Station, 2004-05. July 2005. 2007. Annual Report Highlights, Sagehen Creek Field Station, 2006-07. June 2008. 2008. Research Unit Biennial Director’s Report, FY06-08 UCB-Office of the Vice Chancellor for Research 20 pp. 2013. Sagehen Annual Report, FY2012-13 UCB-Office of the Vice Chancellor for Research 9pp. Dapolito, D. A. 2005. Mountain Lake Environment Center Planning Project. Office, Bancroft Library, UC Berkeley 150 pp. Staff 2008. Master Plan for UC Berkeley Sagehen Creek Field Station, Truckee CA. Cathexes Architecture 28 pp. Bowie, R., J. Brown and F. Felix 2015. Sagehen Biennial Report, FY 2013-15 UCB-Office of the Vice Chancellor for Research 44 pp. Wild and Scenic Rivers Study and Draft Environmental Impact Statement, 1992? This document includes extensive descriptions of Sagehen Creek and nearby watersheds, including Alder Creek and Independence Creek. Included are lists of sensitive plants, and descriptions of designated Special Interest Areas (SIAs), like the Mason Fen and Sagehen Headwaters. There are also discussions of additional recommended SIAs. This is a document outlining the purpose & mission of the Sagehen Experimental Forest & guiding principles for research in the Sagehen basin, including primary research themes, featured research opportunities & public engagement. 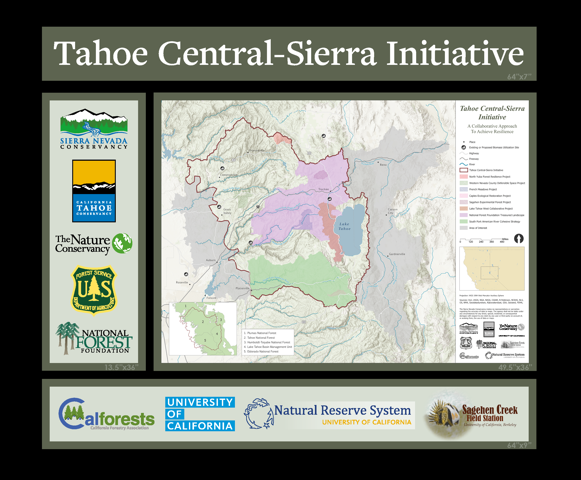 A successful proposal to the Sierra Nevada Conservancy for funding to under-burn the Sagehen Forest treatment areas. A successful proposal to upgrade radio communications linking Sagehen to the other CSFRS research areas in the North Fork of the American River headwaters. A successful, extensive proposal to enhance data collection & communication capabilities at all the UCNRS field stations & reserves, including Sagehen. A successful application that includes extensive information about Sagehen’s Adventure-Risk-Challenge outreach program. This unsuccessful grant application is a request for funding to purchase a snow cat & build a maintenance structure. The document includes extensive information about Sagehen facility & programs. Successful NSF FSML Planning Grant proposal. Includes list of current SRPPAG members, facility description, goals, research target areas & 5-year station use history. This is the final report on the SPLAT research project in Sagehen Basin. Includes description of methods, maps & summary of findings.